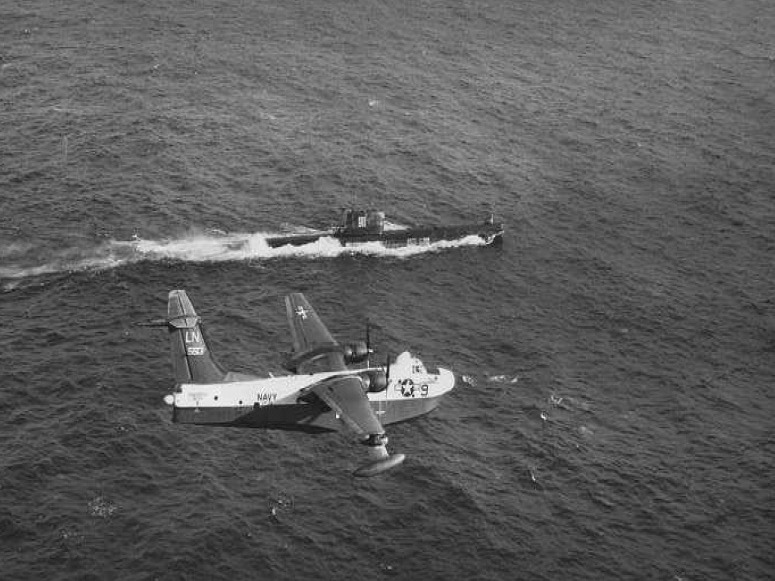 US NavyA US Navy Martin P5M-2 Marlin from Patrol Squadron VP-45 overflies a Soviet Foxtrot-class submarine during the Cuban Missile Crisis, 1962. The threat of nuclear war and mutually assured destruction always hung heavy throughout the Cold War, but at no point did those worries become so close to turning true as during the 1962 Cuban Missile Crisis. The crisis was based around the Soviet Union stationing offensive-capable nuclear missiles in Cuba. Following the Kennedy administration collecting intelligence that the missiles were placed on the island, the US and the Soviet Union entered into a 13 day crisis that at any moment could have spiraled into nuclear war. As the situation progressed, the US put in place a “quarantine” around Cuba to block Soviet ships from being able to move materials to the island. The quarantine was nothing short of a blockade — but renamed as blockades are technically an act of war. And the enforcement of this quarantine led extremely close to the beginnings of a nuclear exchange between the world’s two leading powers. According to a review of the memoir My Journey at the Nuclear Brink by former US Secretary of Defence William J. Perry on The New York Review of Books, a Soviet submarine stopped at the blockade was armed with nuclear torpedoes and had decided to use them. “A nuclear confrontation was avoided only because Vasili Arkhipov, the overall commander of the fleet, was also present on the submarine. He countermanded the order to launch, thereby preventing what might have started a nuclear war,” the review continued. Had Arkhipov not countermanded the order to launch nuclear torpedoes, a series of brutal escalations would likely have taken place. The US military had already been placed on DEFCON 2 the day before this incident took place, and both the US and the Soviets were one slip away from launching their nuclear arsenals and starting an unstoppable lurch towards utter nuclear destruction. Instead, Arkhipov’s move ensured that the US and the Soviet Union ultimately peacefully resolved the Cuban Missile Crisis and nuclear war was thankfully averted.